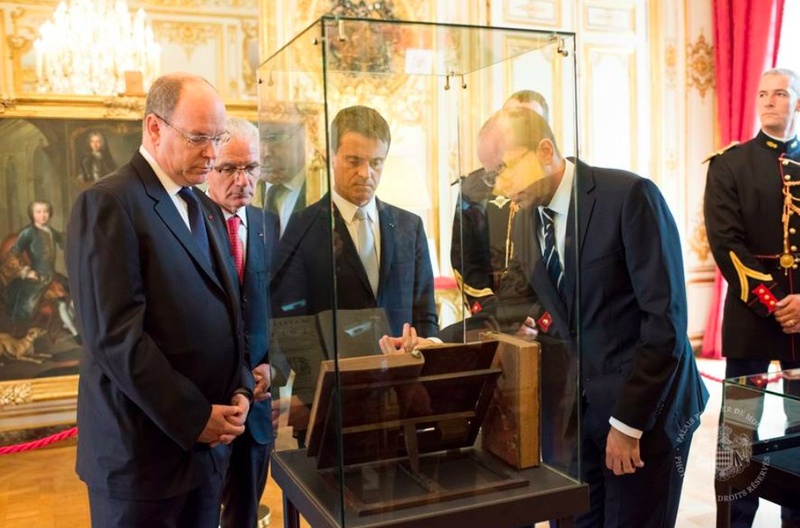 (VIDEO) HSH Prince Albert II of Monaco Views an Exhibition in Paris, France. 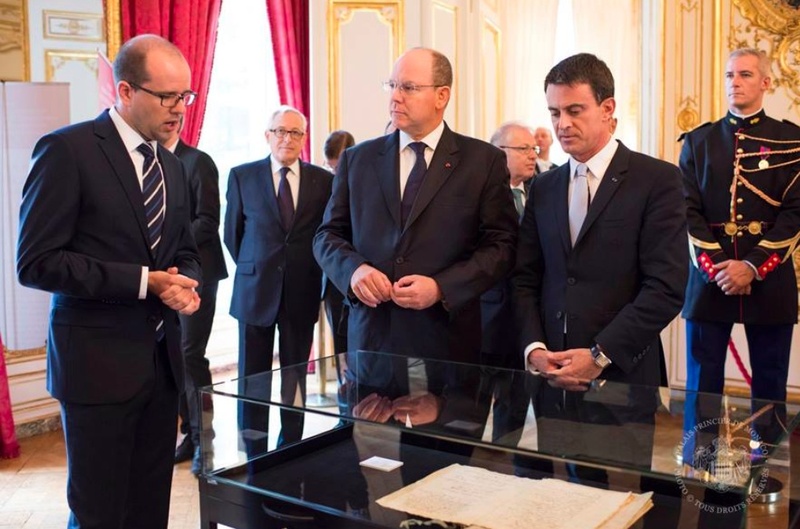 On the morning of Saturday, September 19, 2015, His Serene Highness Prince Albert II of Monaco, at the invitation of the Prime Minister of France, Mr. Manuel Valls, viewed an exhibition inside the Salon Rouge at the Hôtel Matignon in Paris, France. The exhibition, presented during France’s National and Cultural Heritage Days, is dedicated to the tercentenary of the marriage of Louise-Hippolyte Grimaldi with Prince Jacques de Matignon. 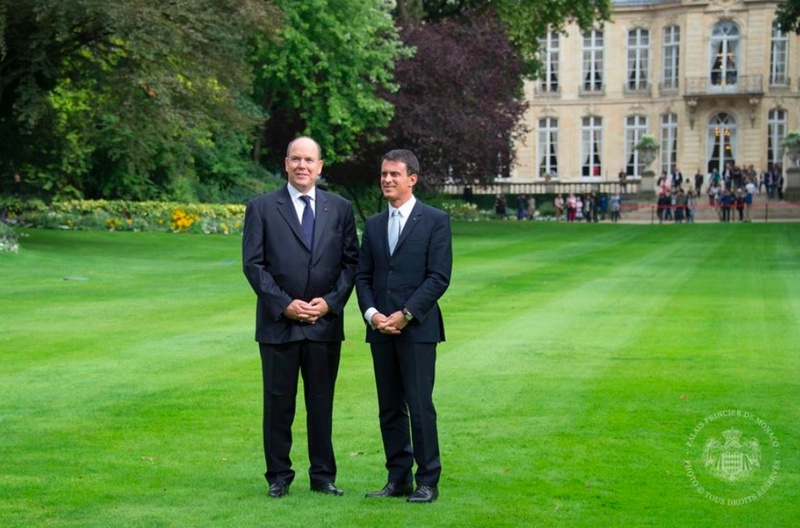 After the viewing the sovereign prince and Prime Minister Valls posed for the international press at the in the garden at the Hôtel Matignon. Previous HRH Prince Harry of Wales Attends the 2015 Rugby World Cup. 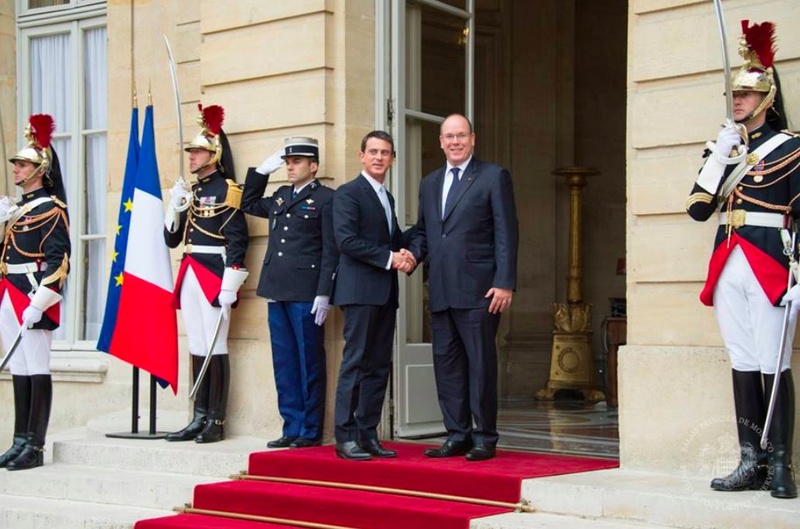 Next HSH Prince Albert II of Monaco Visits the Yacht Club de Monaco.